Taylor Miotke, a second-year in communication, wears her Apple Watch every day to track her fitness goals. After a long day of classes, she said she’s not always able to go to the gym. “I think it has definitely helped me become conscious about how active I am being,” Mitoke said. However, popular fitness devices, such as watches and bands made by Apple, Fitbit and Garmin, may not have much of an impact. Such devices aren’t necessarily an effective aid for people trying to lose weight, according to a study published on Sept. 21 the Journal of the American Medical Association. The study sampled 471 people who ranged from 18- to 35-years-old. One group ate a low-calorie diet and exercised regularly, while a second group was on a similar diet and exercise regimen, but used fitness trackers. According to the results, regularly wearing a fitness technology device did not make people lose more weight over the course of two years. Lauren Corry, a fourth-year in agricultural communication and regular runner, said the study did not surprise her. She said she doesn’t use her Fitbit Flex when she goes for a run, and didn’t notice a difference in weight loss when using the device. 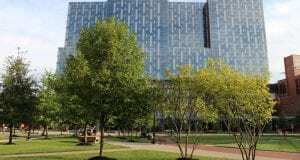 Elizabeth Beil, a dietitian intern at the Wexner Medical Center and 2012 Ohio State nutrition and industry graduate , said eating healthy is more important than exercise when trying to lose weight. “Fitness can help make that calorie deficit, but it won’t be the main reason for weight loss,” Beil said. People can get discouraged easily if they do not meet a goal set on their fitness tracker, Beil said. However, if they do meet a goal, indulging in unhealthy food rewards might reverse their progress. However, Beil said fitness trackers can also create positive competition between friends. 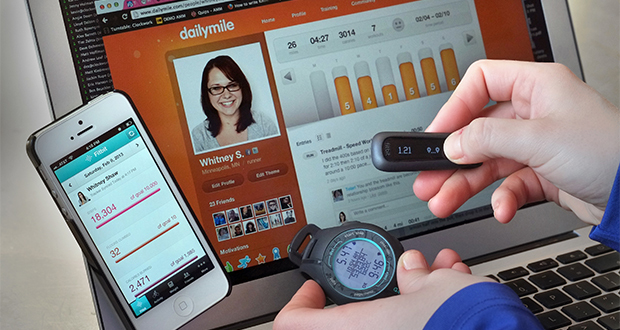 Users can challenge each other on step counts per day and motivate one another. Beil said she suggests that students use free apps such as Fitnet and Sworkit if they are on a budget.